Dave Dobbyn is one of New Zealand's best-loved musicians. Wherever Kiwis gather around the world, it is likely to be his songs they sing when thinking of home. For the first time, Dave Dobbyn's most enduring songs have been collected together in a songbook. In the first part Dave reflects on the stories behind the songs, followed by the musical arrangements for both piano and guitar. 'Beside You', 'Be Mine Tonight', 'Language', 'Loyal', 'Outlook For Thursday', 'Whaling', 'Kingdom Come', 'It Dawned On Me', 'Guilty', 'Devil You Know', 'Slice of Heaven', 'You Oughta Be In Love', 'Welcome Home'; these are just some of his unforgettable songs, music that has formed a soundtrack for generations of New Zealanders. 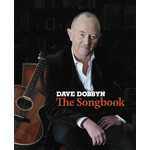 Elegant and substantial, Dave Dobbyn: The Songbook is a fitting tribute to one of New Zealand's national treasures.